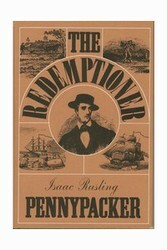 by Isaac Rusling Pennypacker (au). The sea chest with 400 pounds of sterling cleverly hidden in a secret compartment rested abandoned on the quay as the square-rigger put out from England in a freshening breeze. Young Richard Holt, the now penniless owner of the chest, was headed for Phila. in the tumultuous year of 1774, & this is the story of how he redeemed himself. This is a lively tale of what life was like in the years just before & during the Revolution, the metamorphosis of a young English lad into a loyal American, wild & dangerous adventures with thieves, a warming love story, & much more. 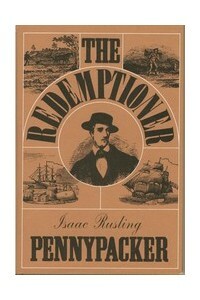 Author Pennypacker's family was active during the revol. war -- Gen. Wash. estab. his hdqtrs. at Pennypacker's Mills leading up to the battle of Germantown in 1777. Freedom's Doors: Immigrant Ports of Entry to the U.S.